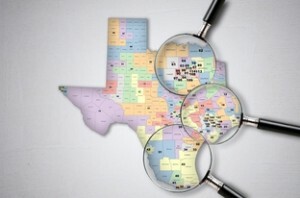 What Are Puerto Ricans Doing In Texas’ Redistricting Process? What the heck do conservative Puerto Ricans have to do with the political plight of South Texas Latinos? It’s a good question, with a somewhat complicated answer. Earlier this week, when it appeared a deal had been struck in Texas’ redistricting nightmare — after two trials, several appeals, much gnashing of teeth and so forth — that would allow elections to go forward, Luis Vera, the General Counsel for National LULAC, threw a hissy fit. Principally, it would seem, because Austin Congressman Lloyd Doggett was the odd-man out in the process. But it all started before then. The only reason that National LULAC entered the redistricting trials last year in the first place was because they had tried to keep Texas LULAC from joining the lawsuit against the state, and failed. So, National LULAC filed a separate suit from the state LULAC, who joined the Texas Latino Redistricting Task Force. National LULAC was so upset that they had Vera send the Texas state director a threatening letter and then maneuvered to have him removed. 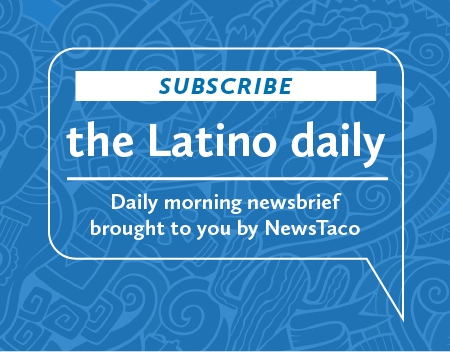 Why did the National LULAC not want to be part of the Latino coalition lawsuit against Texas? National LULAC has been controlled by conservative Puerto Ricans backed by corporate monies since the 1990s, and is at odds with mainland LULACers who tend to be liberal politically. The short version is that in 1994 at the El Paso national election, 325 conservative Puerto Rican delegates were flown in to cast their votes for officers; since, the Texas-born LULAC has re-elected similar officers almost every year, thus, conservative boricuas (in the vein of Luis Fortuño) have continued to dominate the organization. How would they like it if we sent about a million of ourselves over there to ensure that every time a referendum for statehood occurs, it fails? Or, how would they feel if we got all of the other Latino congressmen we could find and get them to lobby against Puerto Rican statehood? I think this small group of reactionary Puerto Ricans needs to wake up and realize that they are out of tune with the majority of Puerto Ricans — on both the statehood and partisanship issues. So, there are questions that arise from LULAC’s protest of the redistricting deal earlier this week. How involved was National LULAC in the settlement reached on February 6? Is this step another in the deconstruction of LULAC as we have come to know it? Is the National LULAC being used by Lloyd Doggett to try and get his way and save his re-election chances? Or did Doggett make a deal via LULAC with the very political party he has fought over the years to save his district? You know a political deal is not a one-way street, particularly when you are trying to cut a deal with a person or organization with whom you’ve fought fiercely for years. Isn’t this process like making sausage? The more you dig, the more you realize that you didn’t really want to know what was in it! I think it is time for LULAC to wake up, take a good look at itself, and decide whether they will be champions for Latinos or puppets for conservative corporations.